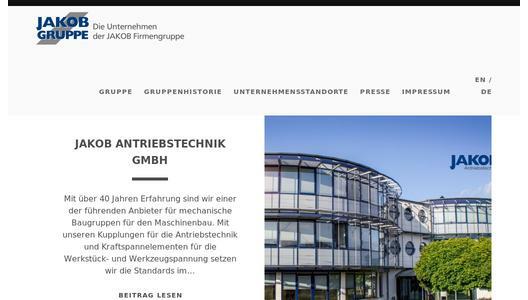 For more than 40 years, JAKOB Antriebstechnik has been providing servo couplings of various kinds. 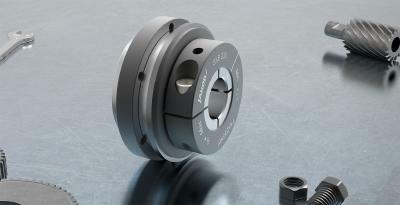 In addition to the standard couplings as bellows or elastomer couplings, servo couplings are also manufactured for large axle distances of up to 6m. 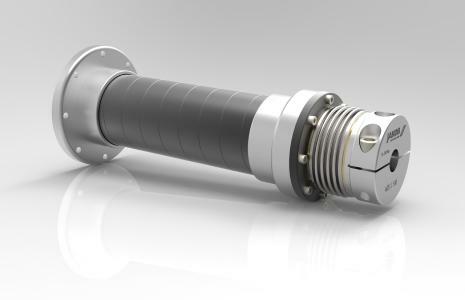 They are referred to as distance couplings, or also as joint shafts. By the use of CFK tubes, it is possible to considerably expand the distance and to realize a higher speed. 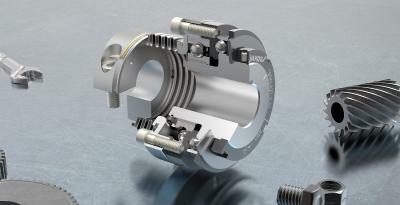 A common structural feature of these couplings for large axle distances is a variable-length intermediate tube, which can be optimally adapted to the customer's specific application. In the interior of the metal bellows it is supported on both sides by a special cardanic bearing on the hub parts. Thus, the bellows are relieved from the weight of the pipe and, in the event of a crash, possible damage to the installation or personal injury is excluded from the start. Due to the precise production of the individual elements, high rotational properties and a quiet running behavior are achieved. The couplings can in many cases be used as connecting, articulated or synchronous shafts and can replace intermediate shaft constructions with complex, additional intermediate bearings. Misalignment, especially parallel offset, can be compensated in a considerable magnitude. The intermediate tube is usually designed as an aluminum tube. It can also be supplied in stainless steel as an alternative material version, as well as for the highest speeds in straightened and balanced quality. The coupling hubs are manufactured in half shell version or as pluggable, axially displaceable claw hub. 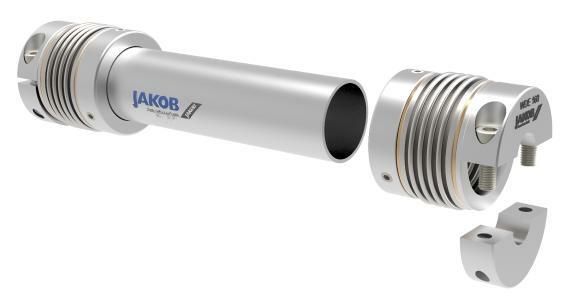 JAKOB offers distance couplings, designed for torques from 7 to 3200Nm. In special versions, torques of up to 50,000Nm can also be achieved. Beside the steel or aluminum version, glass fiber or carbon fiber reinforced plastics are required for a required lightweight construction or a high speed. 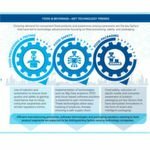 Lightweight construction plays the most important role here, but also aspects such as electrical conductivity and explosion protection can be arguments for the use of GFK or CFK instead of metallic materials. Especially when the center distance has to be designed according to the critical speed, a CFK pipe will score points. Although the CFK intermediate tube is lighter by a factor of 7 compared to the steel tube, it has a higher stiffness. As a result, it is alternatively possible to achieve longer spacings without providing an intermediate bearing of the shaft, or smaller pipe diameters can be used under otherwise unchanged conditions.